Cochran Funeral Home has a staff of caring professionals dedicated to helping area families with the process of honoring life. We believe that each life has a unique story. Highlighting that story with a personalized funeral or memorial service is one of the most caring acts you can do for your loved one. For over 35 years, the Cochran family has been serving the community with quality service, focused attention, and healing experiences. With 5 funeral home locations spanning across Georgia and North Carolina, our team is ready to assist in your time of need. Our on-site crematories in Blairsville, McCaysville, and Blue Ridge, GA help put your mind at ease knowing your loved one remains in our care throughout the whole process. Entrusting our team means you will receive the best possible care and service, whether you are seeking full traditional funeral service, cremation, or customized services. We have helped families spanning a wide range of traditions, beliefs, and values. Whatever your request may be, traditional or contemporary, we can help you plan a meaningful event of remembrance. Our funeral home in Blairsville, GA is a warm, comfortable space to plan arrangements, hold services, and gather with friends and family to share memories and grieve together. This business was first established in 1950 by Pat Akins, who later partnered with Raymond Nix. The funeral home and Union Memory Gardens Cemetery were sold in 1981 to Steve and Max Cochran. In 1993, they decided to build a new funeral home off Hunt Martin St in Blairsville, which is the current location today. 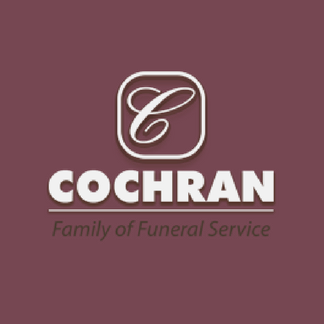 At Cochran Funeral Home, we continually work to remain a top trusted funeral and cremation provider for the communities we service. We take pride in providing compassionate service, maintaining trust and integrity with every client family, and raising the bar for industry quality standards. By holding ourselves accountable to a higher standard, we can confidently say that our team provides cremation, funeral, and memorial services of unmatched quality. We aim to start the healing process for your family with funeral, cremation, and life celebration options to fit any need. Cochran Funeral Home is a member of the NFDA (National Funeral Directors Association), and the GFDA (Georgia Funeral Directors Association). We hold an A+ rating with the Better Business Bureau (BBB). Our team brings years of funeral industry experience, with Licensed Funeral Directors who are ready to assist you. You can reach our Blairsville, GA funeral home team at (706) 745-2156. For your funeral and cremation needs, our family will serve your family with compassionate, professional service. Service is more than just a word to the staff of Hopkins Funeral Home. Our reputation for service is evident by our long heritage in the community.